How to edit maps in builder? 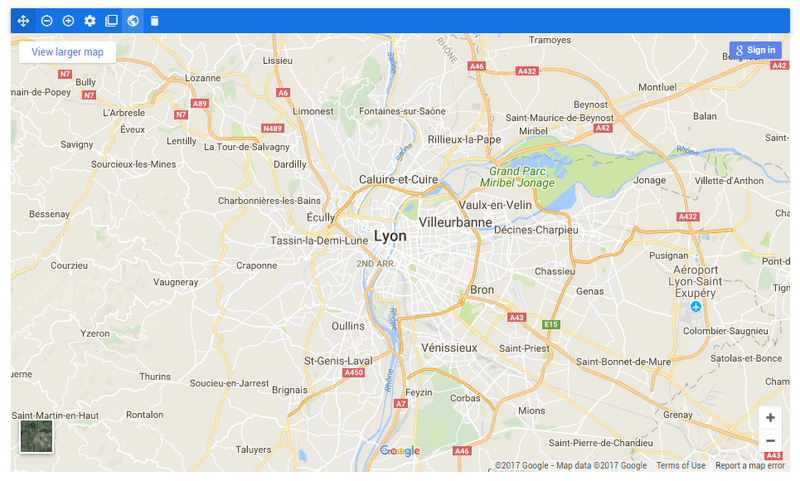 To edit the map element in your page, click on the Earth icon in the blue settings bar. Then from the right sidebar you can replace the embed code with your own code. Make sure the map, Street View image, or directions you'd like to embed shows up on the map. In the top left corner, click the Menu . Click Share or Embed map. 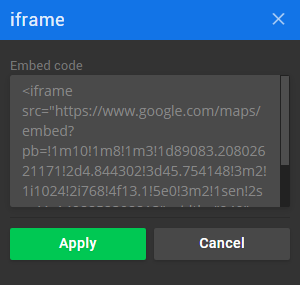 At the top of the box that appears, choose Embed map. Copy the HTML embed code and paste it into the embed code field and click apply.